Why Solaris Apartment & Resort? 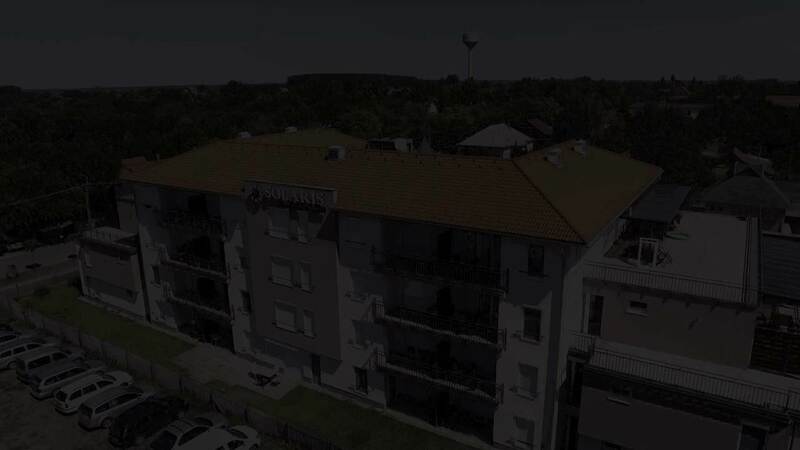 We welcome our new and returning guests in Cserkeszőlő as guests of Solaris Apartment & Resort, in the most dynamically developing resort village of Hungary! You can certainly meet your requirements in this new apartment with a Mediterranean atmosphere, if you long for wellness, entertainment or simply a calm relaxation! The Solaris Apartment & Resort is located in Cserkeszőlő, only 120 km from Budapest, between Kecskemét and Békéscsaba, that has become one of the most popular holiday resorts of Hungary in last decades, beside its calm atmosphere, what is typical in the Great Plains! Solaris Apartment & Resort is located in the sunniest area of the Pannonian Basin, the average annual sunshine durations exceed 2,000 hours a year, guaranteeing early and long summers, sunshine in spring and autumn. Thanks to its unique medicinal water and the spectacular developments of last years, Cserkeszőlő is more and more popular year by year! Its spa is eventful and family-friendly and the effect of its medicinal water has had a reputation since decades. Its thermal water rises from the hottest and in minerals richest medicinal water sources of Hungary from a depth of 2,300 meter! Its balneologic unit, based on this unique therapeutic effect, has gained a national reputation. It is extraordinarily effective in case of gynecological diseases, as well as to those of the locomotor system and joints and during rehabilitation. Due to its high mineral content, it has the fastest effect time among the medicinal waters in Hungary! Our Mediterranean-styled apartment is located directly in front of the Spa, in the most frequented location of Cserkeszőlő in the main street, at the same time our apartment provides silent and calm relaxation. A further advantage for our guests is, that they do not have to stand in rows at the entry gates of the spa, because we foster the comfortable and individual entry to the spa by our own armband! Our apartments, cooled and heated by thermal water, have various and demanding interiors. Our apartments are available to our guests with bathrooms, that are equipped with their own medicinal water. The apartments provide a spacious and comfortable feeling with a base area of 40-48 sm and own terraces for both families and single guests. The area of Cserkeszőlő is attractive in every season! The real Puszta, the grapeyards of the Great Plains, the floodplain of River Tisza and its Arboretum offer a perfect opportunity to a Nordic walking tour, biking or a silent hideaway for our guests preferring hiking, active or more silent hideaway. We hope we will be fortunate to host You as well and you will find a complete physical and mental refreshment at our resort! We are waiting for you with love! Team of Solaris Apartment & Resort!